commented on "Tuis flit among the bright pink cherry blossoms as the chef whips up a chilli tortilla with sour cream and guacamole for me. ..."
Tuis flit among the bright pink cherry blossoms as the chef whips up a chilli tortilla with sour cream and guacamole for me. 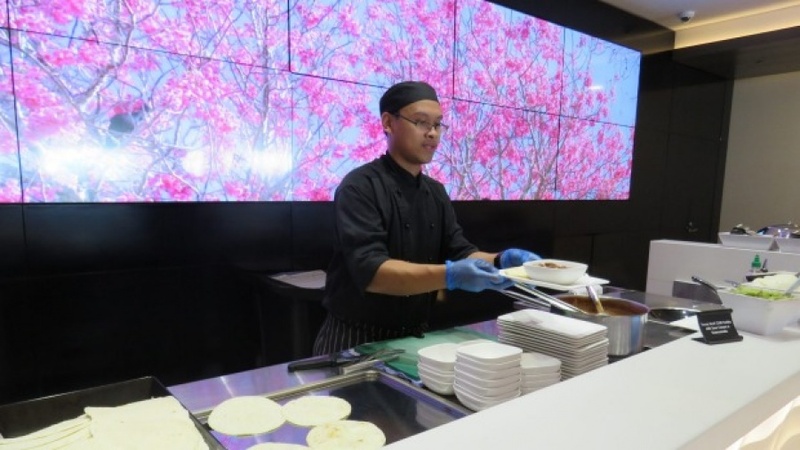 I've already skimmed the delectable array of gourmet food at the buffet in the near-new Air NZ Koru lounge at Auckland Airport but having my own private chef cooking a favourite Mexican dish for me is even more appealing.